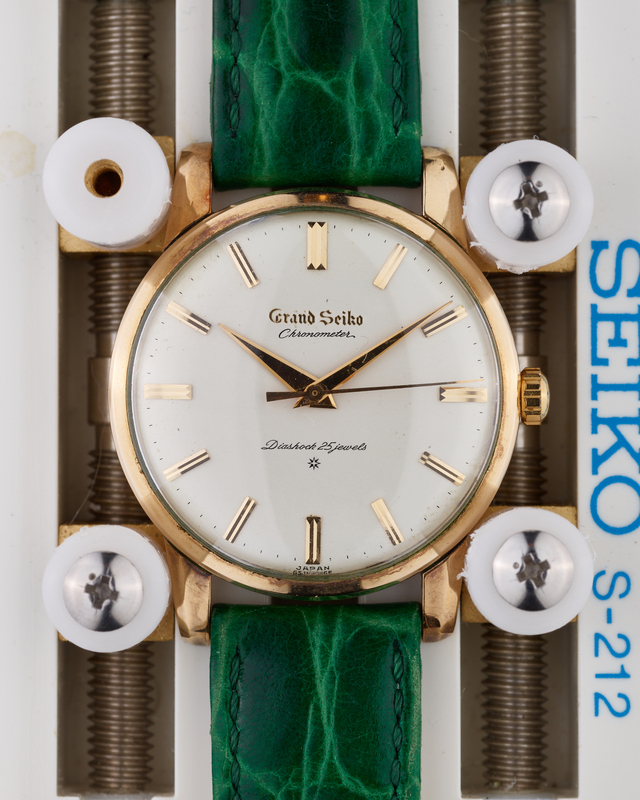 There was a time when our understanding of the Grand Seiko First was very simple – there were print, carved, and raised logo dials. 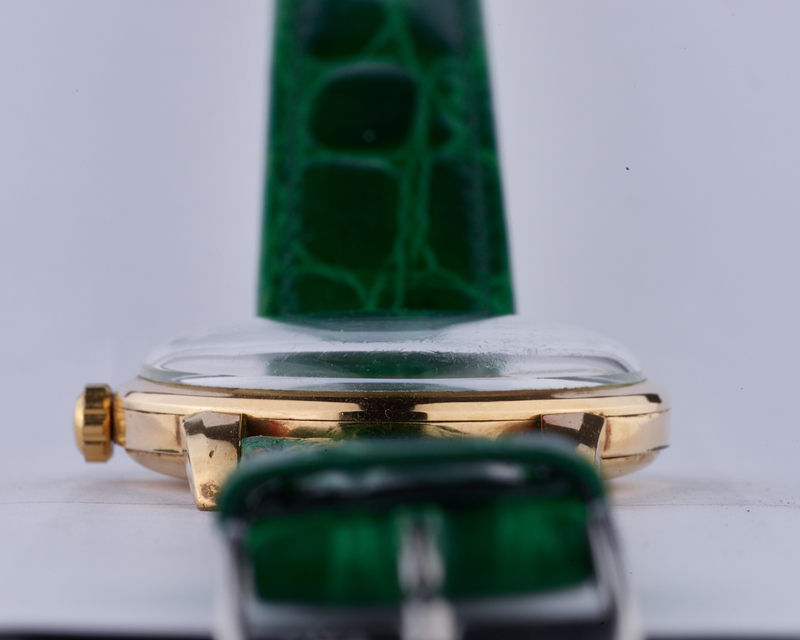 Recently however, with the significantly increased amount of interest and attention with regards collecting these pieces, it has become apparent that simply classifying the watches into those three broad categories isn’t sufficient. 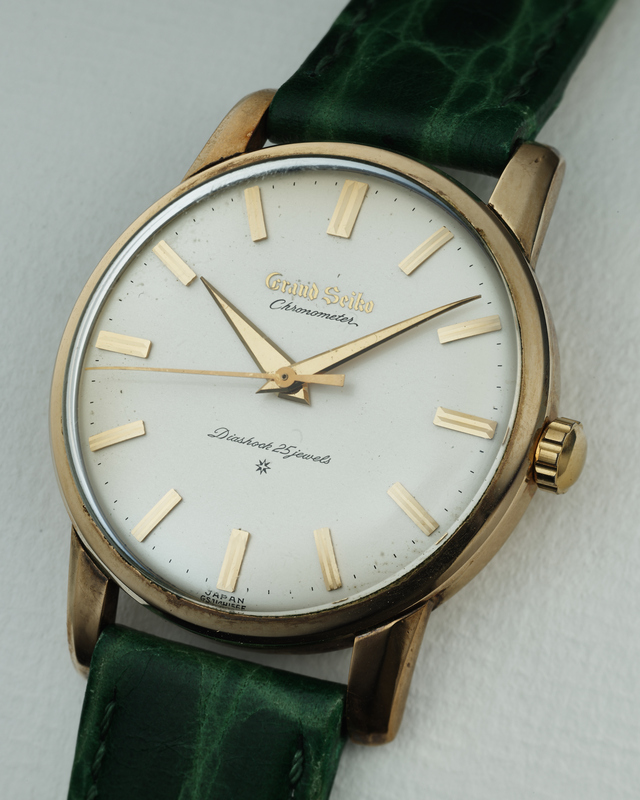 As of the time of listing this watch, it is understood that there are as many as nine distinctly identifiable versions of the Grand Seiko “First” in the filled gold case. 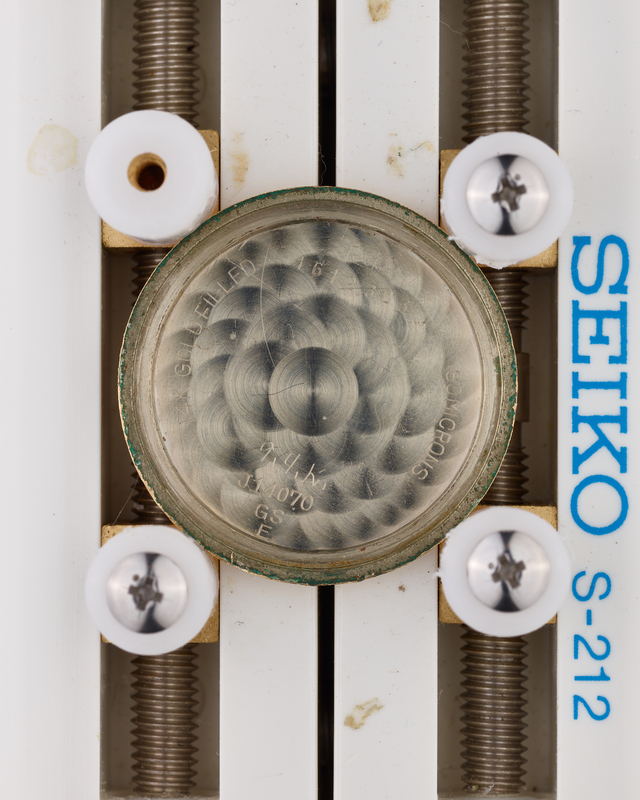 This particular example is what is now being referred to as a “transitional raised logo” dialed watch, in that it retains some features from its predecessor – the carved dial variant, and some from its successor, the raised dial variant. 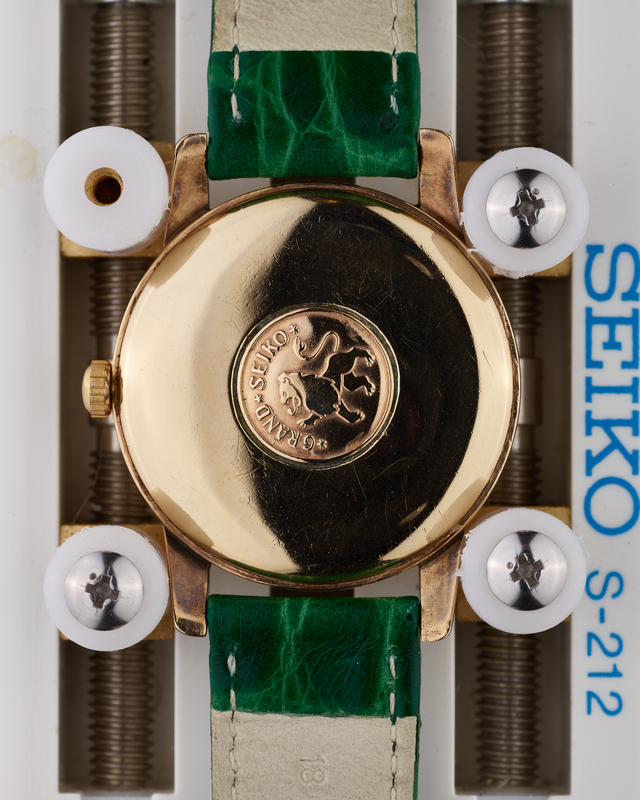 What to look out for on these pieces are two distinct features – the case back medallion features the early version of the Grand Seiko lion that can be found more commonly on printed and carved logo dial variants (where the back of the lion’s mane aligns with the knee of the right hind leg), and the dial code does not have the “-SD” suffix, it is just “GSJ14H155E”. 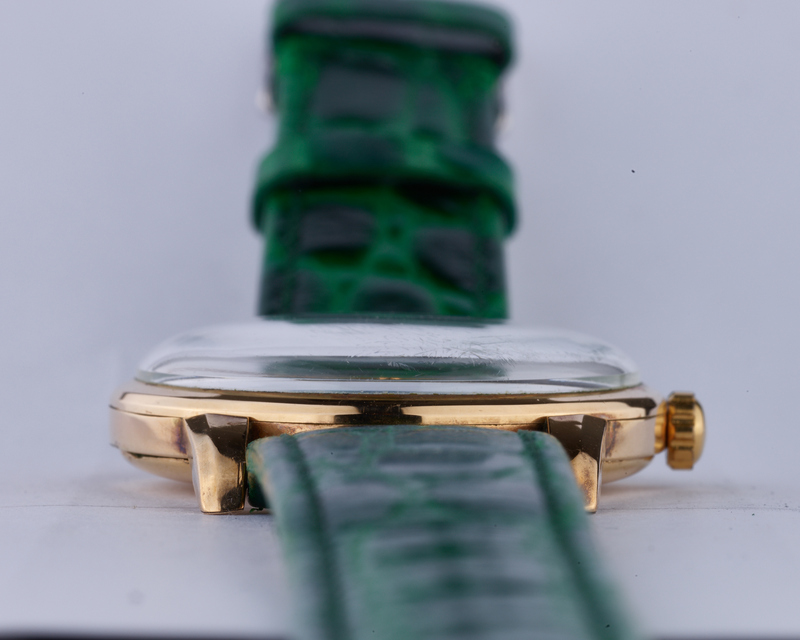 The example presented here has a particularly strong case, with a very clearly defined lion logo in the case back medallion and only minor hairline scratches. 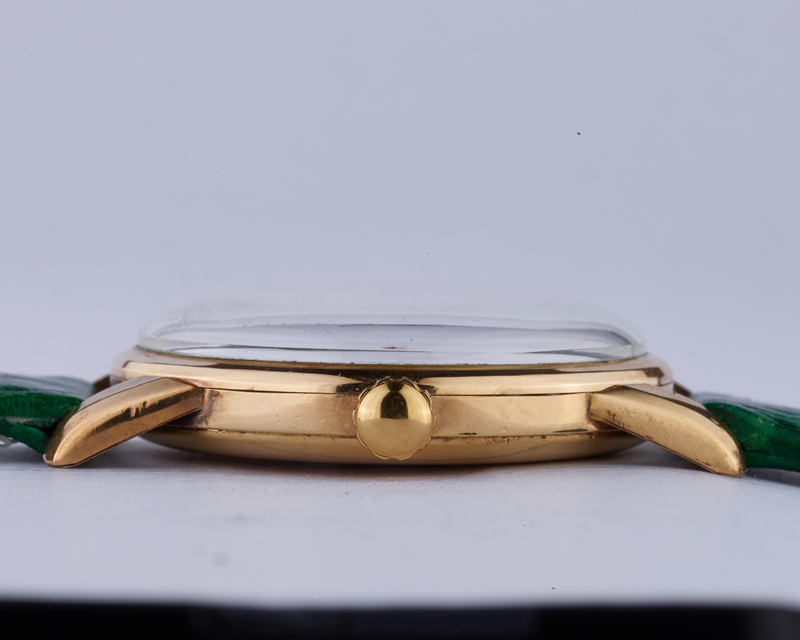 As will be seen from the detailed photographs provided, the dial is in excellent condition, with minimal “spotting”. 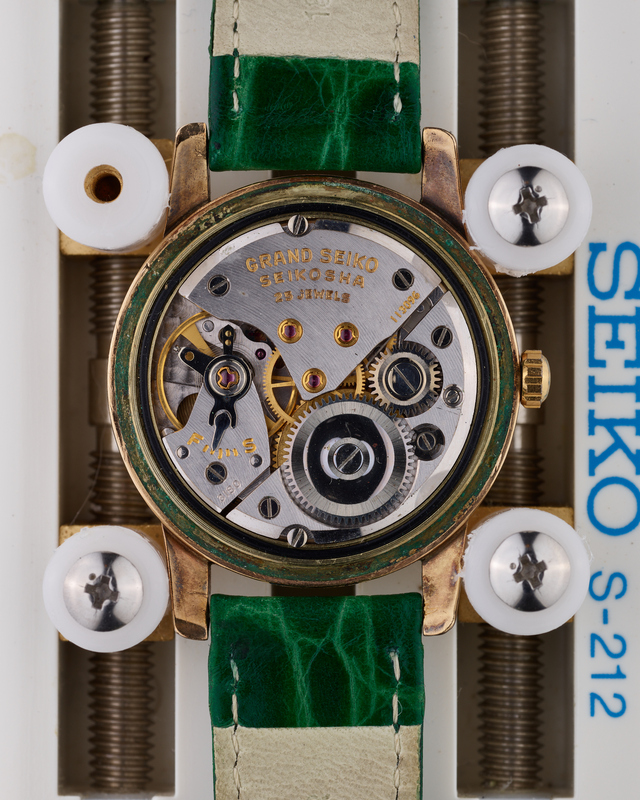 This is a rare opportunity to acquire a watch that currently can be considered to “fly under the radar”, and one that could well become a lot more collectible in the future. 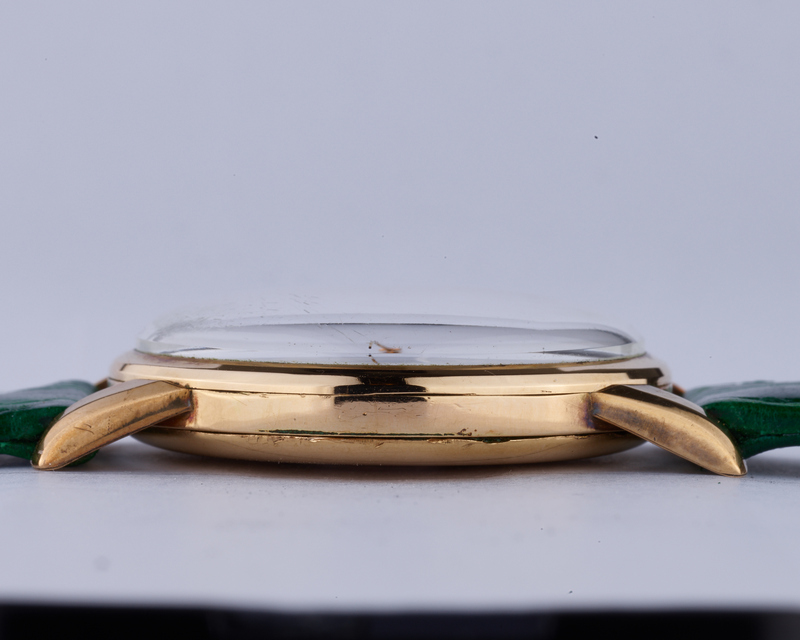 On a timegrapher in the dial-up position, the watch is running at +5 seconds per day.